SINTEF was established in 1950 and has grown to become one of the largest European research institutes covering research and innovation on a broad range of technologies. SINTEFs mission is to assist industrial partners in research and development and to enable innovation from basic research. This is achieved through bilateral industrial research contracts and participation in European or National research projects. SINTEF is involved in research in numerous areas such as renewable energy, oil and gas, materials, health and welfare, biotechnology, climate and environment, ocean and space, building and infrastructure. SINTEF will act as the coordinator for the UPWARDS project. SINTEF has long experience in coordination of EU projects and has dedicated H2020 staff to handle administrative issues. On the technical side SINTEF will contribute to all WPs, with a focus on atmospheric modelling (WP2) and modelling of structural materials (WP5). In addition, SINTEF will contribute to system integration (WP6). SINTEFs contribution will be executed by the Flow technology group and the Polymer and Composites group in the Department of Materials and Nanotechnology. Fraunhofer-Gesellschaft is the leading organization in applied research in Europe. Its research activities are conducted by 69 institutes and research units at locations throughout Germany. Fraunhofer-Gesellschaft employs a staff of 24,500, who work with an annual research budget totaling 2.1 billion euros. Of this sum, 1.9 billion euros is generated through contract research. More than 70 percent of Fraunhofer-Gesellschaft’s contract research revenue is derived from contracts with industry and from publicly financed research projects. In 2001 Fraunhofer ITWM became the first mathematical oriented institute of Fraunhofer-Gesellschaft. Fraunhofer ITWM focuses on the development of mathematical applications for industry, technology and economy; it is the world-largest institute for industrial mathematics. Within UPWARDS, Fraunhofer ITWM is mainly responsible for the work carried out in WP6. Here, Fraunhofer ITWM coordinates the generation of an integrated system simulation platform for Multiphysics / phenomena analysis in wind turbines. Fraunhofer ITWM will be responsible for increasing the simulation speed by applying HPC parallelization of the software developed in WP 2 – WP5 and model order reduction techniques to generate high fidelity models for the relevant system behaviour with low model dimension. 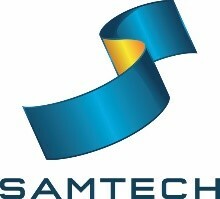 SAMTECH is a partly owned subsidiary of SIEMENS PLM software. SAMTECH is based in the Liège Science Park in Angleur (Belgium), where it was founded in 1986 from the Aerospace Laboratory of University of Liège. SAMTECH is the European Engineering Software company developing the general-purpose Finite Element Analysis (FEA) code SAMCEF and its pre- and postprocessor Simcenter 3D. structural parts, the analysis of interactions in structural assemblies and the simulation of complete 3D mechanical/mechatronic systems. This advance non-linear FEA modelling methodology is applicable in particular to the analysis of Wind Turbines Structural Dynamics, for which SAMTECH developed a vertical application called “SAMCEF for Wind Turbines”. Advanced structures analyses like fracture mechanics or tolerance to damage are also possible using SAMCEF, in particular for composite structures. Regarding the UPWARDS project, SAMTECH is mainly involved in WP3 (which is dedicated to the modelling and simulation of Fluid-Structure-Mechanisms-Control interaction in a large Wind Turbine), WP5 (dedicated to the modelling and simulation of large composite blades) and WP6 (dedicated to High Performance Computing and the Integration Platform). In addition to minor contributions to other WPs. With its origins back in 1983, AWS Truepower has been a long-time leader and innovator in renewable energy consulting. AWS Truepower, LLC was acquired in September 2016 by UL LLC, also known as Underwriters Laboratory. UL is a worldwide safety and certification company headquartered near Chicago, Illinois, USA, with over 11,000 employees in over 40 countries. As part of UL, AWS Truepower offers a diverse portfolio of renewable energy services and an increased global footprint. We are joined by UL DEWI, a Europe-based wind testing, certification, and advisory services firm, UL solar product testing and certification, and an e-Mobility business that supports the testing and certification of all-electric and hybrid vehicles. AWS Truepower actively supports wind project development both on land and offshore. AWS Truepower has worked on the design of more than 100,000 MW of on- and offshore wind projects in more than 80 countries throughout the world. AWS Truepower has also provided solar services for projects accounting for over 10,000 MW. AWS Truepower will be the leader for WP2, the Atmospheric model, and will provide the coupled model of WRF-LES. Additionally, AWS Truepower will actively participate in WP4 – Flow and Acoustic Simulations with atmospheric and propagation models, in WP6 – Integrated System Simulation and Knowledge Extraction on the integration of the models generated in WP2, and providing input on the variables, in WP7 – Socio Economic Impact. Finally, AWS will also participate in WP8 – Dissemination & Communication, providing support on dissemination activities, participating in events and through the contacts and clients AWS already has all over the world. Wageningen University and Research (WU) is a leading international knowledge institute in the fields of nutrition health, sustainable agricultural systems and environmental quality. A staff of 6,500 and 10,000 students from over 100 countries work everywhere around the world in the domain of healthy food and living environment for governments and the business community-at-large. WU is ranked #47 in the World [1st in the Netherlands] in Times Higher Education World University Rankings 2015-2016. The Environmental Policy Group (ENP) is part of the Social Science group (SSG) (approximately 750 employees). ENP is international leading in the field of environmental social science and policy research (15 staff members and 45 PhD students) and has organized its international research program around five core themes: (1) Sustainable Urban Infrastructures, (2) Governing Climate Futures, (3) Marine Governance, (4) Governing Environmental Mobilities, and (5) Sustainable Food Transformations. An important research area cutting across these themes is renewable energy. WU-ENP will be leading WP7, in collaboration with Fraunhofer ITWM. This WP integrates social and environmental concerns of wind turbines, incorporating them early in the modelling work in the other WPs through a participatory modelling approach. It further aims to mitigate environmental and social concerns by integrating them into the models in successive stages. First, key social and environmental concerns will be discussed with three panels of citizens, policy makers and industry representatives in the various EU countries. Second, the outcomes of these discussions will be integrated into the models from other WPs and to identify performance objectives analysed in WP6 through dedicated workshops. With over 35,000 megawatts of wind power installed, Siemens Wind Power solutions deliver clean, renewable energy from offshore and onshore installations around the world. In offshore wind power, Siemens is the most experienced company within the industry. With the creation of the world’s first offshore wind power plant in 1991 in Denmark, Siemens established the industry. Recent years’ industrialization have seen Siemens set and break the records for the world’s largest offshore wind power plants, presently held by the 630 MW London Array project. It features 175 Siemens 3.6 megawatt wind turbines. 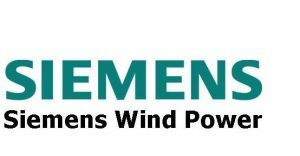 Siemens occupies a leading position within onshore wind power, having been awarded the world’s largest single onshore order to date; a 1,050 MW order from MidAmerican Energy in the USA for a series of onshore wind power plants in Iowa. Within UPWARDS, Siemens Wind Power brings its expertise related to modelling, design, and manufacturing of wind turbines. Pre-existing expertise and knowledge within composite blade design and modelling hereof will be applied in UPWARDS to further develop high-fidelity material failure simulation models of an operation wind turbine (WP5). SWP will contribute with the design of the commercial 2.3MW wind turbine and define of a virtual prototype of a 15MW wind turbine to utilize in simulation under realistic conditions in UPWARDS. The UPWARDS project and the holistic approach taken will lead to a better understanding of the physics of wind turbines as well of the complex physical interactions (wind flow, loads, structure, material failure), which is a crucial step in designing more efficient, reliable, and bigger wind turbines for the future. AAU will lead and coordinate “WP5 – Material failure models” as well carry out a dominant part of the research and development in this WP. Siemens Industry Software NV (SISW) is an engineering innovation company, with proven track record in experimental, numerical and hybrid system modelling for vibrations, acoustics, durability, rotating machinery etc., performing substantial in-house research on advanced methods and industrial applications. SISW employs 371 people at its headquarters in Belgium. SISW constitutes the simulation and test business segment of Siemens PLM. SISW offers, next to industrial software expertise, also a direct connection to end user products and product development practice and skills. SISW is and has been partner in several Flemish and EC-funded research projects and training networks such as Aeolus4Future on wind turbines. Siemens Industry Software NV is the world leader in numerical acoustics and is or was editing software like SYSNOISE, RAYNOISE, Virtual.Lab acoustics, NX Nastran, Simcenter Acoustics which has been used for several decades to design quieter products. The main role is in WP4 on development of state of the art numerical methods for the simulation of wind turbine noise generation and propagation. Universidad Nacional del Litoral (UNL), located at Santa Fe, Argentina, participates through CIMEC (Research Centre for Computational Methods), which is an institute of UNL where nearly 50 people work in areas of Computational Mechanics. In the last 25 years, CIMEC have worked in the development and application of numerical methods to several areas: modelling of mechanisms (in close collaboration with SAMTECH), fluid mechanics, parallel computations, nonlinear mechanics and continuous casting, biomechanics, etc. The Centre has strong links with the Argentinean industry: YPF (oil extraction and refinery), IMPSA (hydraulic and wind turbines), ARN (nuclear agency), SIDERCA (steel tubes for oil industry), FAVOT (agricultural machines), MAHLE (motorvalves) within others. The institute has two clusters (292 and 3000 cores), with a large experience of HPC in fluid mechanics. UNL participation is allowed by RTD agreements between the EU and Argentina. Universidad Nacional del Litoral, located at Santa Fe, Argentina, participates in this project through the activities to be developed by CIMEC. CIMEC (Research Centre for Computational Methods) is a research institute of UNL created in 2013. The institute has nearly 50 people working in areas of Computational Mechanics, and was previously part of the research institute INTEC where it started in 1980. In the last 25 years, researchers from CIMEC have worked in the development and application of numerical methods and computational tools to problems in several areas: modelling of mechanisms (in close collaboration with SAMTECH), fluid mechanics, parallel computations, nonlinear mechanics and continuous casting, biomechanics, etc. 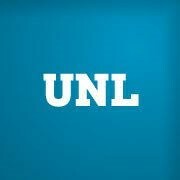 The Centre supports the PhD studies in Universidad Nacional del Litoral, where its professors teach several courses and guide research activities of PhD students. The Centre has developed strong links with the Argentinean industry. In particular, it has developed projects with YPF (Argentinean oil extraction and refinery), IMPSA (Argentinean manufacturer of hydraulic turbines and wind turbines), ARN (Argentinean nuclear regulatory agency), SIDERCA (manufacturer of steel tubes for petroleum industry), SIEMENS (transport division), FAVOT (agricultural machines), MAHLE (motorvalves manufacturer) within others. UNL-CIMEC will contribute to the UPWARDS project (WP3) as specialist in nonlinear mechanism analysis, and in nonlinear fluid mechanics analysis in HPC context. The main role of CIMEC will be to support the tasks of development of the detailed numerical models of wind turbines, with the final goal of modelling extremely exigent maneouvers as the emergency stop of the machine. CIMEC will exploit results of this project in R&D activities and in education. The achievement of the UPWARDS project objectives will allow acquiring new capabilities for modelling complex nonlinear fluid / structure interaction problems of utility in several industries. Also, results from this project will serve at various courses that UNL-CIMEC provides to university students and also to engineers from industry. 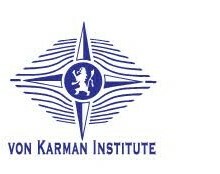 Von Karman Institute (VKI) is a non-profit international educational and scientific organisation. It provides post-graduate education in fluid dynamics and encourages “training in research through research”. VKI has a permanent staff of approximately 110 persons, among them 25 research engineers and 16 professors. Besides the permanent staff about 190 students and temporary researchers are involved in the different academic programmes. Furthermore, this Center of Excellence operates about fifty different wind tunnels, turbo-machinery and other specialized test facilities; some of them being unique. VKI is Belgian Pilot Center for OpenFOAM with practical training courses on OpenFOAM for fluid dynamics. IVKDF will lead and coordinate “WP4 – Flow and acoustic simulations” as well carry out a dominant part of the research and development in this WP. Wavestone (WS) came into being in 2016, when the leading consultancies Solucom and Kurt Salmon European’s business, as well as the Financial Services and CIO Advisory practices of Kurt Salmon in the United States (excluding retail & consumer goods consulting activities outside of France) joined forces launching a new generation in consulting. In a world where permanent evolution is key to success, our 2,800 professionals in 4 continents enlighten and partner business leaders in making their most critical decisions. Drawing upon our global workforce we work with major institutions and companies who are leaders in their sectors. It is this reach that positions Wavestone as a leading independent player in the European consultancy sector, and the number one in France. The Innovation Management and Funding (IMF) team in Wavestone includes over 40 consultants with scientific, technical and financial backgrounds including scientific PhDs, engineers, economists, business oriented experts, etc. The IMF department combines EU coverage with in-depth local knowledge of the management and financing of complex R&D and innovation projects. IMF consultants have in-depth experience in the setting-up and management of complex R&D projects and innovation structures and processes (including communication and exploitation activities). Wavestone has deep expertise in initiatives co-funded by the European Commission (FP7/H2020, LIFE, structural funds, Interreg etc.). Wavestone will bring to the project its expertise in dissemination and communication strategies as well as support for management activities, including IP, data and innovation management (WP1, WP8).